Below is a list of all services we offer. The list is in alphabetical order. Please choose one for quick access. The colour boxes next to each service differentiate between free and paid services as well as indicate the payment method for each paid service. - Free services, available to all registered clients. - Paid services, which can only be purchased online. - Offline payment service. Paid services, which can be purchased both online and offline. We offer a 24/7 individual consultations to clients that need assistance with anything regarding their stay in Ukraine, an advice about their relationship or guidance of any kind, any time. We will be happy to arrange a personal assistant/interpreter for you in Ukraine. She will personally oversee every aspect of your stay and will assist you 24 hours, 7 days a week. Your assistant will function both as a translator and a guide, who will accompany you anywhere and any time you require. Let us organise a walk for you and your girl in the beautiful park, offering an old-fashioned, romantic atmosphere and a variety of amusement attractions. The advanced search feature allows you to refine your search by a variety of criteria such as age, location, English fluency, occupation, character, habits and even eye and hair colour. Our advanced search tool makes finding your perfect match as easy and quick as possible. 24/7 assistance, advice and guidance, meeting arrangements, around-the-clock assistance for your travel needs before, during and after your trip, Favia welcome package, office usage, Internet access, cell phone leasing, help of agency staff, assistance to your lady/ ladies. Our professional drivers will pick you up from your hotel or apartment building and will drive you to the airport terminal. We provide guaranteed, economical and reliable airport transfer service with comfortable and safe cars and professional drivers. Our airport transfer services provide a complete airport transportation solution for your flight arrival and departures 7 days a week. We will pick you up from your hotel or airport terminal and drive you to your destination at the most competitive prices. If you wish to have some water fun, we can organize a trip to Kharkov Aquapark “Jungle”, which is famous for its sliding transparent roof. Located near Kharkov this Aquapark offersunforgettable moments of water entertainment! All Favia membership programs have benefit packages that include a number of privileges for members. Apart from that, we do our best to make things easier for clients by providing a number of additional benefits. Favia membership allows you to enjoy the convenience of searching and browsing hundreds of single ladies’ profiles from your own home at the time that suits you. It also guarantees that these ladies are real people, looking for serious relationships. Our members also benefit from the wide range of tips and individual advices on how to get the best out of their Favia experience. We are always looking for the best quality deals for our clients. After searching all airlines, we will offer you a selection of flight options to compare and choose from. We will do our best to save you time and money and to ensure you have a problem-free and joyful trip. Fresh air, fun and exercise… bike riding can energise and cheer you up. If you wish to go biking or take your girl with you, let us know! Do you like playing billiard? Poltava offers a number of fun places, where you can play billiards and spend a couple of quality hours with your lady! If you wish to go bowling with your girl, we can offer you a number of good bowling places to choose from. Favia offers you the opportunity to search and browse through hundreds of ladies profiles. We guarantee our ladies are real people, looking for serious and lasting relationships. Favia representative will pick you up from your hotel or apartment and will drive you to the bus station. Favia representative will meet you at the bus station and will drive you to your hotel or apartment building. Favia representative will meet you at the airport and will arrange a mini bus transfer to Poltava for you. Another Favia representative will meet you at Poltava’s bus station meeting at the bus station and will drive you to your hotel or apartment building. On your way back, our representative will pick you up from your hotel or apartment building and will drive you to the bus station. The bus will then take you right to the airport. If you want to capture your trip to Ukraine on video, we will hire a professional cameraman, who will shoot all these exceptional, precious moments during your stay in Ukraine and will make a short movie to keep the memories alive forever. This option helps you search and quickly find ladies by specific criteria. If you are a film lover and you wish to go to the cinema while in Ukraine, we will gladly arrange it for you – we will buy the tickets and upon request will provide you with an interpreter to accompany you. Upon request we can arrange for you a car with a professional driver to drive you around the city. If you wish to learn a foreign language together with your lady, we offer combined language lessons taught by professional language teachers. Ask our team about the concerts/performances available at the time of your visit. Our correspondence service includes individual, totally confidential translation of letters from English into Russian and vice versa. This service is designed to make sure your communication with the ladies goes smoothly, quickly and efficiently, with no room left for misunderstandings of any kind. You have found a person you like, but now you have no time to write to her, then just click on the icon and her profile will appear at you favourites list, next you’ll be online you will easily find her. Our team of dedicated professionals is committed to delivering a superior customer experience and an ongoing guidance and support, exceeding customer expectations. We are here to guarantee that our clients are real people, people, ready and proud to go for what they believe will make them happy. Upon request, we may deliver healthy, delicious, fresh breakfast to your apartment every morning. Once you decide to meet your lady in person and set out on this journey of love to Ukraine, you will have our full support in every stay of the way – from booking your plane ticket and arranging your accommodation to arranging a romantic dinner or surprise. We will ensure you receive every service or advice that you may possibly need in order to make your trip and your dating experience successful and unforgettable. You wish to take your girl to a disco or a night club, let us know and we will book a table. Interpreter is available upon request. This is another attraction, worth visiting. Do not hesitate to ask our team to organise this trip for you. Wouldn’t it be great if your lady could speak your language?! For these ladies who do not speak English we have developed special language courses in English, Italian, German and French. Feel free to order any of these courses for your lady and enjoy communicating with her directly on a one-to-one basis. Highly qualified interpreter will help you in your communication with the ladies. We will gladly arrange your transportation to and from any destination in the city, as well as provide you with a personal guide to accompany and assist you anywhere you require. Let us know if you are interested in visiting a traditional Ukrainian fair and we will check whether such are to be held during the time of your visit. In order to make our clients’ stay in Ukraine easy and joyful, we provide them with a detailed city map and guide book. Fishing is your hobby? Let us know if you want to go fishing while in Ukraine and we will arrange it for you. If you wish to surprise your girl with flowers or any type of gift while in Ukraine, do not hesitate to ask for our assistance. We will arrange it quickly, easily and at the best price available. The only thing for you to decide is whether you want these gifts delivered to your girl by us or you wish to present them yourself to her. All the rest leave to us. We provide our clients with the best of comfort in travel, accommodation and transportation, including international travel medical insurance and emergency assistance to protect you during your trip. We provide around-the-clock assistance for your travel needs before, during and after your trip. We will make all the necessary arrangements prior to your trip, then we will meet you at the airport (or bus/train station), will transfer you to your apartment, help you with the accommodation, and take a genuine care of you and your needs for the rest of your stay. We will assist you with currency exchange, bank transfers, international phone calls, shopping, etc. Meeting arrangements with up to 5 ladies. A great way to get to know Ukrainian lifestyle and culture, and get to know your lady better while travelling around Ukraine. This is another great romantic option. Take your girl for a horse riding. We will organise this adventure for you and upon request will arrange a horse riding instructor. We will gladly arrange your apart-hotel accommodation in Ukraine. The type of accommodation is totally up to you, but we always highly recommend the apart-hotel accommodation to our clients. These apartments are self-catering, fully furnished and fitted to the highest standard, to provide accommodation whilst retaining a 'home from home' feel. All apartments have fully fitted kitchens equipped with all necessary appliances, and offer various amenities, including air-conditioning, wireless internet, LCD TV, DVD, Cable TV, telephone, etc. We are providing an exclusive introduction service that is second to none. We plan the introduction very carefully, taking into consideration the desires of both parties. We take care of every single detail – venue, romantic surprises, pre-meeting consultations, etc. – in order to make the introduction as easy, successful and pleasurable as possible for all participants. Capture your love story in a photo shoot. Let a professional photographer tell the story of your love through images that encapsulate the essence of your personal romance. We will make sure it’s done by the best “story tellers” in town. It is up to you where you’ll meet your lady. Should you decide to meet her and have a chat over a glass of wine and a fine dinner or lunch, we will book the best table at a place, meeting your requirements. Should you decide to take her out for a cup of coffee and a piece of cake, we will be happy to book a cosy table at the most suitable coffee house. By becoming a Favia member, you have shown your commitment to using dating services as a way to live love and have social life the modern way. Our membership programs are uniquely designed to suit the needs, level of commitment and budgets of different clients. They serve as a basis on which we build upon the individual experience of each client. We organise museum visits with an English-speaking guide. Being a country of rich culture and long history, Ukraine offers a huge variety of museums and galleries around Ukraine. A dating consultation with one of our dating consultants helps us create your dating profile, based on discussions about relationship expectations, romantic history, family patterns, your expectations from a potential partner, etc. Profiling enables us to better assist clients, especially those who are new to dating, and help them get off on the right foot by advising them how and when to take initiative so that their dating endeavour is successful. Upon request, we will gladly organise any other activity. Just keep in mind that the availability of services depends. Should you want to take your girl out and capture all these memorable moments, we will arrange for a professional photographer to accompany you. Enjoy yourselves and leave it to the photographer to choose and save the right moments. If you’d rather enjoy the fantastic spirit of the performance, Poltava’s Concerts Halls, such as: “Listopad” or the City House of Culture are the right places to visit. If you wish to have Ukrainian national dishes cooked in your apartment’s kitchen, we can arrange for the best chefs in the city to do it. Apart from being a great entertainment for you and your girl, this experience will give you a chance to learn some Ukrainian recipes and have and evening full of fun and exceptional food. This enables you to see the progress of your correspondence and also to know when you have new messages. With the help of this function you will have an opportunity to change your personal information, to see who is interested in you. If you wish to have a local cell phone while in Ukraine, simply let us know and we will provide you with one. We provide guaranteed, economical and reliable airport transfer service with luxury, comfortable and safe cars and professional drivers. Our airport transfer services provide a complete airport transportation solution for your flight arrival and departures 7 days a week. We will pick you up from your hotel or airport terminal and drive you to your destination at the most competitive prices. Outdoor cooking over an open fire is very popular in Ukraine. Having a Shashlik picnic organised for your lady in the forest or near a river will be a good choice for spending time together. The beautiful scenery will let you relax and enjoy each other’s company. For clients, who enjoy partaking in the nightlife, Poltava has to offer а great variety of quality entertainment. Your online dating profile is a must, when using a dating service. It makes the first impression about you and it is probably more important for ladies that you imagine. Your profile needs to be catchy in order to attract the ladies’ attention, but it also has to be sincere in order to keep them interested. We advise clients to make their profiles informative, but not too detailed and also inviting, but not too provocative. Just make sure to put that little bit of extra thought and time into making your profile stand out from the rest. Our team of highly trained professional translators offers unparalleled quality translation for all your translation needs. Our translators ensure that the original context and cultural meaning of your letters, your online conversations or live chatting, are never lost in translation. We guarantee that all your personal information will be treated as strictly confidential and will be observed only by persons with an authorized need-to-know. Favia representative will pick you up from your hotel or apartment building and will drive you to the railway station. Favia representative will meet you at the railway station and will then drive you to your hotel or apartment building. Recreational/Sports activities: Carting, Sailing, Ice skating, Roller skating, Tennis, Paintball, Billiard, Bowling, Fishing, other. Should you wish to spend time doing sports activities, while in Poltava, we will gladly arrange it for you. Romantic Compatibility is a search tool, specially designed to help you find that special someone you are looking for, by matching your requirements and expectations with those of ladies. If you wish to impress your lady by organising a Romantic supper at your apartment, you will have the chance to see our dedicated team in action. After discussing your requirements, we will decorate the apartment, we will deliver your desired food or even better, we will let you enjoy watching your meal being prepared. We will arrange romantic surprises, games, music, or anything else that would make this evening unforgettable. We offer this service to clients who wish to treat their meeting with a lady to a professional photo shoot. Capture the memory of this special moment, by ordering our romantic photo shoot. If you wish to surprise your girl with an extraordinary gift or surprise but you cannot decide what, our team will gladly discuss it and arrange it for you. Should you decide to meet your girl at a special venue – a rooftop or a boat, just let us know. Language courses are available to clients, who wish to learn their girls’ native language or simply wish to surprise their ladies with knowledge of their language and culture. These language lessons are being held in a warm and friendly atmosphere and are designed to boost your language abilities and your knowledge of the country in the shortest time possible. Visiting a traditional bathhouse is a must if you wish to fully experience Ukraine. If you wish to experience something unique and feel the special atmosphere of a Russian Bath in Ukraine, just let us know and we will organise it for you. Our website is 100% scam-free. We are your insurance against dating scammers, non-existing people trying to cheat behind beautiful photos. We are here to guarantee that our clients are real people, who are proud to go for what they believe will make them happy. We do our own background checks and verify all information provided by clients in order to ensure a scam-free service. You’ve been corresponding with a lady for a while and you’re ready to speak to her via voice or voice & video chat. What would her voice sound like? What would she say? 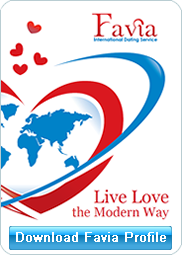 Enjoy the excitement of this adventure and bring your online dating relationship to a new level. Using the online instant messaging service is the safest, easiest and cheapest way to chat in real time. All it takes is a microphone and a set of headphones, but the joy it brings is priceless. Please, let us know of any special requirements you may have for your stay in Ukraine – medical problems, allergies, dietary foods, drinks, etc. In case we need to make special arrangements regarding your accommodation, such as buying medicine or special food, please notify us prior to your arrival. Should you prefer telephone conversations to live messaging, we will be glad to offer you our Telephone call services and when required a Telephone call with translation. Our interpreters will make sure everything you say is translated as correctly as possible, while considering the context and cultural differences. So, leave it all to us, what you need to do is simply relax and enjoy the conversation with your lady. If you are a theatregoer, we certainly recommend visiting one of Poltava’s famous theatres. We can arrange domestic flights, train tickets, apartment rental, transportation, airport/station transfer, trip to a destination of your choice or guided tour to and from any destination in the city or anywhere in Ukraine. We also offer VIP transport for your special occasions. We can arrange airport/station transfer, trip to a destination of your choice and from any destination in the city or anywhere in Ukraine. Your online dating profile photo is the most important part of your profile. Surveys have been conducted where the results prove you are 10 times more likely to get your profile looked at by someone searching on the online dating service when they can see you. With your online dating profile photo you keep the dating web sites happy, and keep the other singles clicking on your profile. If you don't make either of these happy you won't get the results you're after. You're there to find a partner so make it look like you're looking for one. Upon request we will assist you in renting movies in English, or other language, if available. If you want to capture your trip to Ukraine on video, we will hire a professional cameraman, who will shoot all these exceptional, precious moments during your stay in Ukraine. We provide visa/fiancé Visa assistance to clients who wish to travel with their ladies abroad. Although profiles and pictures may give you a lot of information about a lady, we offer to take you one step further in getting to know her. Viewing a lady’s introduction video will let you see her move and talk and thus will take your communication to a whole new level. All videos are unique – both informative and entertaining. Each video offers you a peek into a lady’s personal world and has her own personal touch to it. Poltava/ Kiev/Odessa Railway Station and Poltava/ Kiev/Odessa Bus Station. A mini bar, light snacks, amenity and first aid kits are available for each client, arriving in Ukraine.